Due to Thurgood’s achievements and devotion to the civil rights movement, the film and theater industry have produced two notable pieces of work dedicated to the life and success of Thurgood Marshall. In 1991, Separate But Equal became the first full length film devoted to celebrating the success of Brown vs. Board of Education case which Thurgood argued and won at the Supreme Court. 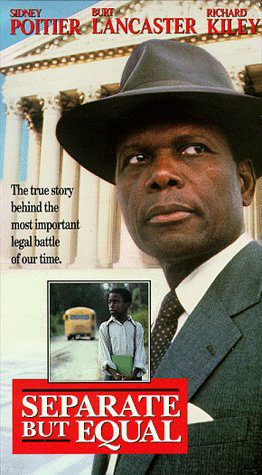 The film stars Sidney Poitier as lead NAACP attorney Thurgood Marshall. 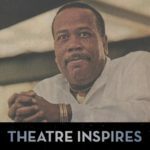 In 2006, the one-man play, Thurgood, about the life of Thurgood Marshall, premiered at the Westport Country Playhouse. The play starred James Earl Jones as Thurgood Marshall, and was directed by Leonard Foglia. 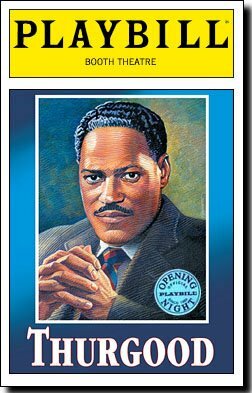 Thurgood made its first Broadway debut at the Booth Theatre on April 30, 2008, which starred Laurence Fishburne as Thurgood Marshall. In 2011, HBO screened a filmed version of the play, which was performed by Laurence Fishburne at the John F. Kennedy Center for the Performing Arts. The White House showed the screening that same year as a part of a celebration for Black History Month.